I'm not criticizing him, btw.....but people really seem to have forgotten. He was league median among LF in terms of offense. Which is fine, btw.....he's a good, if not great, player. We don't differ in the desire to "get there". But we do differ on the possibilities of how to get there. Since nothing in Twins history indicates they are willing to take the premium FA route to getting there, I personally spend little time imagining the Twins signing a Bryce Harper type FA(s). Nor ahould Falvine. They know the constraints ownership has placed on them. Plus they must fortify themselves with a mood altering beverage or three, when they make the obligatory "JP has assured us we have all the means necessary.....blah blah blah". The Twins can put together a competitive orginisation with a long term basis. It's going to take time, which isn't easy to accept. But that impatience isn't really, as yet, Falvines fault. It's from years of Terry Ryan simply selling the vision of being a "contender" in the generally mediocre central division. That philosophy had its merits. It kept him employed, it kept the turnstiles spinning, and it made the bottom line on JP's P&L black. While Pohlad hasn't actually thrown the vault wide open, he knows he has to do something to reverse the attendance (read revenue) downturn. So while Flavey and Levine won't be given unlimited funds, they will get a chance to build a sustainable and effect operation. But no matter how much wishin and hopin goes on, Harper isn't coming here. To me it all depends on how you view this current “wave”. If you look at them as inexpensive members of the 25 man roster that give you the payroll space to add talent in addition to them. The doors of possibility open up for you. They don’t cost much more than Ryan LaMarre does. There is no need to trade them. Just roster them and ask them to win a job instead of being handed a job come hell or high water. If you want Sano to get his act together introduce him to your new acquisition Nick Castellanos and make him earn his AB’s. An interesting, intelligent blueprint, Tom. I question the Gibson trade. The team should try hard to lock him in at a reasonable price. Easier said than done but on paper today, I'd consider Gibson a guy that could be a suitable #3 starter in a future post-season run. That said, he shouldn't be off the table. But the return on a trade should be somewhat significant. Erceg is Milwaukee's 4th ranked prospect in a system that only has one player in the top 100. I'd want more. Spitballing here, but maybe package Gibson, Gordon, and a teen-ranked prospect for their top prospect, 30th MLB, 23-year-old Keston Hiura. In the reader satisfaction department, my request would be that the age is included when discussing the possible prospects we could trade for. Anyway, thanks for a good, thought-provoking read. Prospects still have high value if you are not a club with almost unlimited funds.Twins issue seems to be moving the needle from prospect to (superstar or very good player).Look at the Red Sox.THey have a high payroll, but still have plenty of home grown talent there.That is what the Twins are lacking is getting the players to the next level.It may take a complete overhaul of the Twins minor league system and coaching to do that. Moving a player like Kepler would hurt, but you do not get very good talent in return without giving something that hurts up.The FO just has to be right.What I am seeing now is players doing better after leaving the Twins then they did here.That did not happen much in the Terry Ryan era.Do not know how the Twins position players will work out, but they have a chance to have a very good to great lineup, however I do know you will not win without a considerly better pitching staff, and I see good, but not great pitchers coming (maybe with the exception of Gastrol).Twins also have an almost blank payroll sheet after 2019, they can afford to make trades and signings to greatly improve this area (and not all will work, but Twins will fail if they do not try). I am hoping they stretch a little and go for the upper parts of the pitching Free Agents, not the middle and lower tier.If they do not I am afraid we are back to the Terry Ryan era of being competitive, but not being a real threat to win the World Series. Ok, just speculation for now, but by seemingly jettisoning Brantley, the Indians seem focused on budgetary constraints going into 2019.Their major advantage over the Twins is their starting foursome and if they are really looking at trading either Kluber or Carrasco, the balance of power shifts considerably in the AL Central, if the Twins are ready to capitalize.No, the Indians are not likely to trade one of these pitchers to an interdivision rival but such a possibility should force the Twins FO to concentrate even more on reeling in a #1/#2 starter as their top offseason priority and look at 2019 as a realistic playoff opportunity. My feeling is that Free Agency will not work for this organization for all the reasons cited in this thread, but trading one of our future "stars" should definitely be on the table to have a reasonable chance of landing someone like Baumgartner, Greineke, Matz, etc.Start with the determination of which one of Buxton/Sano has best chance to rebound and start sending out feelers on the other(I'm in the keep Buxton camp, btw).While Sano might not fetch the haul he would have a year ago, he still might have significant value to a rebuilding team seeking a talent-heavy package of prospects along with a major league ready power hitting 3B. If the Indians are indeed willing to trade one of their pitching stars, the Twins must jump at the opportunity of a widening window of contention.Right now as things stand with the two rosters the Twins have too many holes to make up to legitimately compete in 2019 but the combination of Twin additions and Indian losses can narrow that gap in a big hurry.I doubt whether Falvine will wait for the Cleveland FO to act this offseason but in any case, such news should propel them to greater efforts to add real difference-makers to this team in the offseason. The tortoise and the hare might disagree with you re the Lamborghini. I am not a Grossman fan and McCutchen was once a MUCH better player than Grossman but check you facts before you make these statements. The player who's September stands out the most is MCCutchen. Sure are a lot of people focused on how good players were in the past as opposed to how good they will be in the future. BTW ... Rosario ------- 67 / 75 / 61 and many are sure he is key. Not if he continues to have an absolutely horrible approach. Yeah...and are we talking a paved racetrack here, or a dirt road through the jungle? In baseball, I think the path is revealed after you’ve traversed it not before. It seems more often than not we plan for one and get the other. Too true. And what makes baseball so fun is that even when you've got your Lamborghini floored--see Kenley Jansen in the WS--sometimes it just isn't fast enough. Hey that sounds amazing to me ... which also means it's probably unrealistic. If the Brewers decide to move Hiura, they're going to set their sights much higher. Gibby has been very good for a year and a half, but he's still got a 94 ERA+ for his career and only comes with one year of team control. Milwaukee is in a competitive stage right now, so I doubt the Gordon and a mid-teens prospect moves the needle at all for them. What do I think it would take to get Hiura? Gibson plus Polanco ... plus May or Garver? Not even sure that would do it, as Hiura was mentioned as a potential centerpiece deal to get Jacob deGrom, who's both better than Gibby and under multiple years of team control. 25 is no longer considered young in MLB. Look at today’s stars. Mookie Betts just turned 26. He’s a 3 time all star and possible AL MVP this year. He’s at least sure to finish top 6 for the third consecutive year. Sano and Buxton need to stop being coddled and they need to start performing or their careers are done. The time for excuses is over. If they aren’t good enough, move on, period. 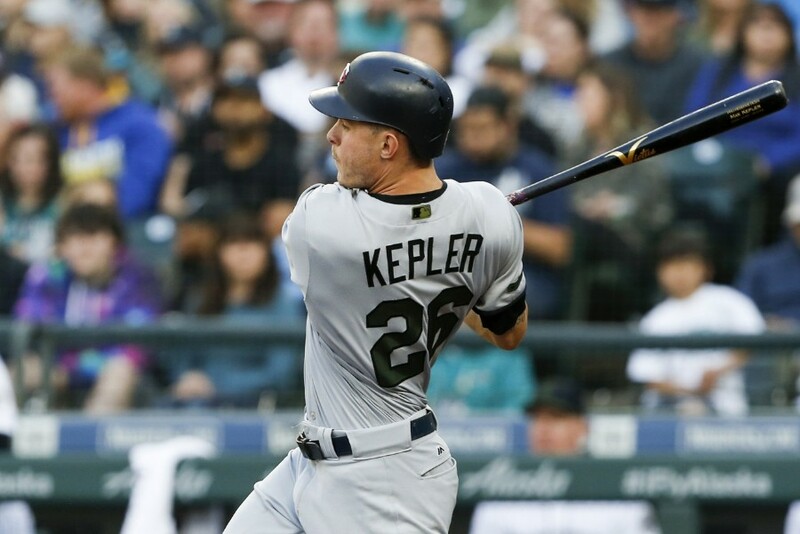 My take on this idea is that Buxton, despite his setbacks last year, still has MUCH more trade value than Kepler. That said, I'dhang on to both of them at this point.